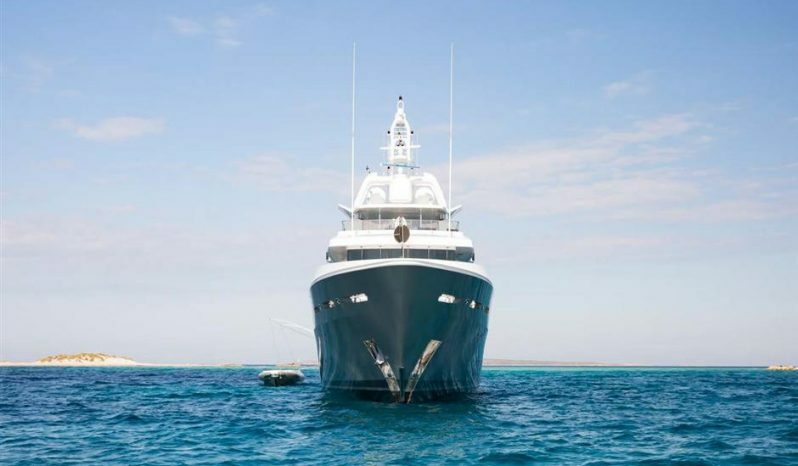 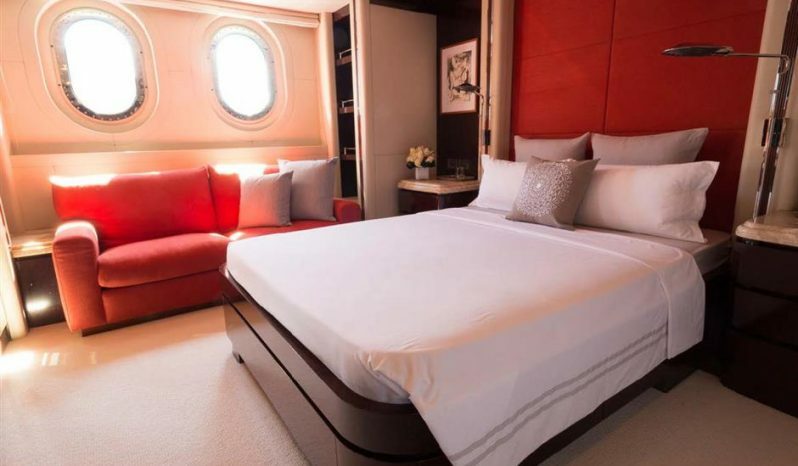 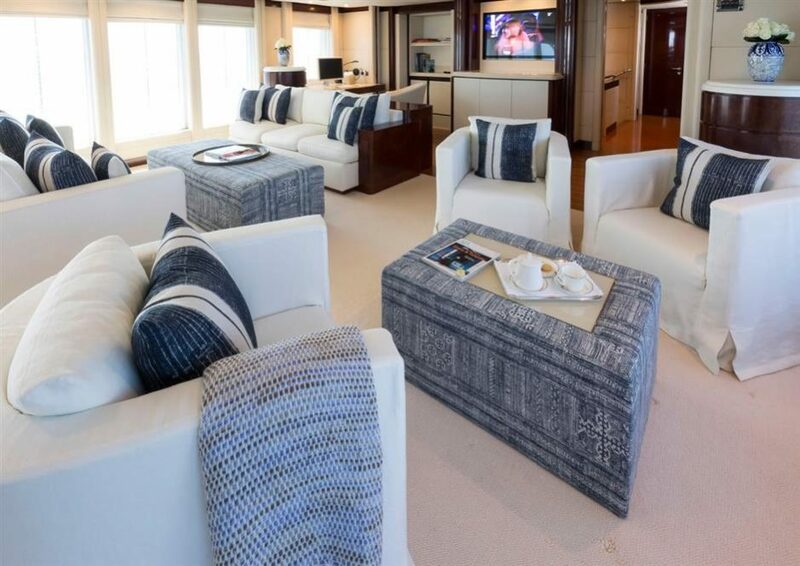 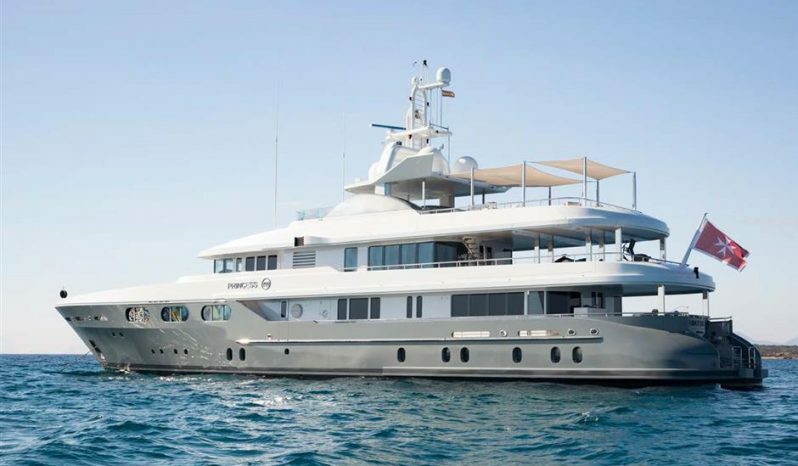 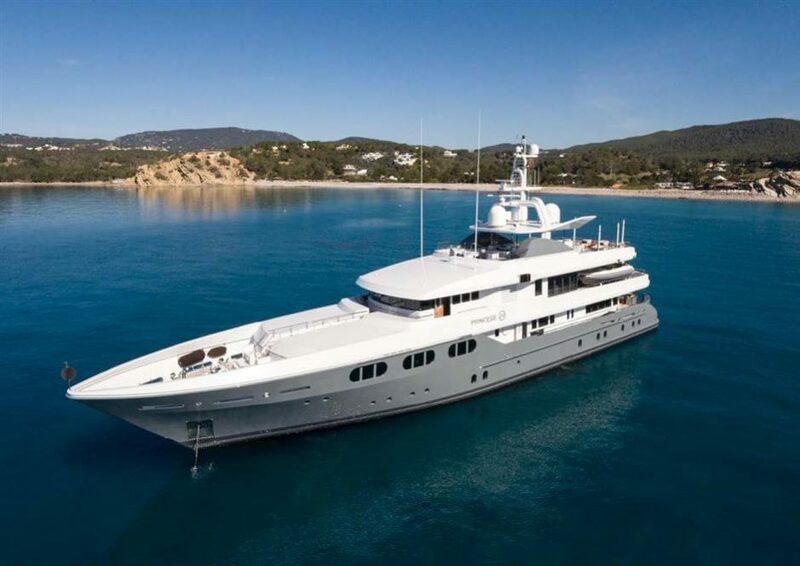 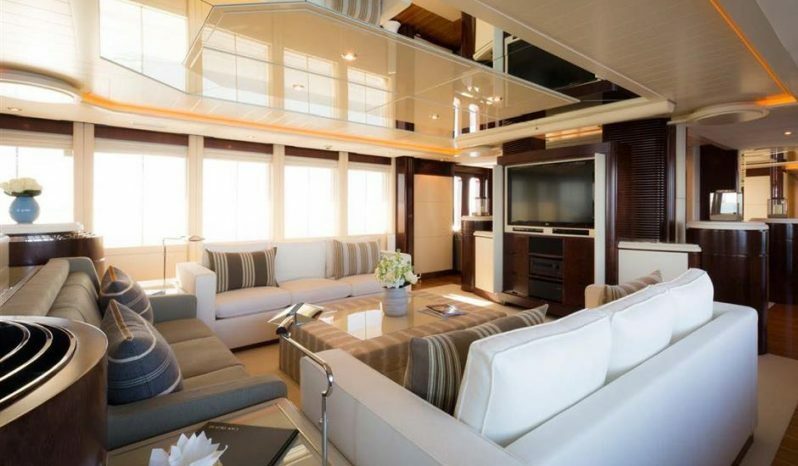 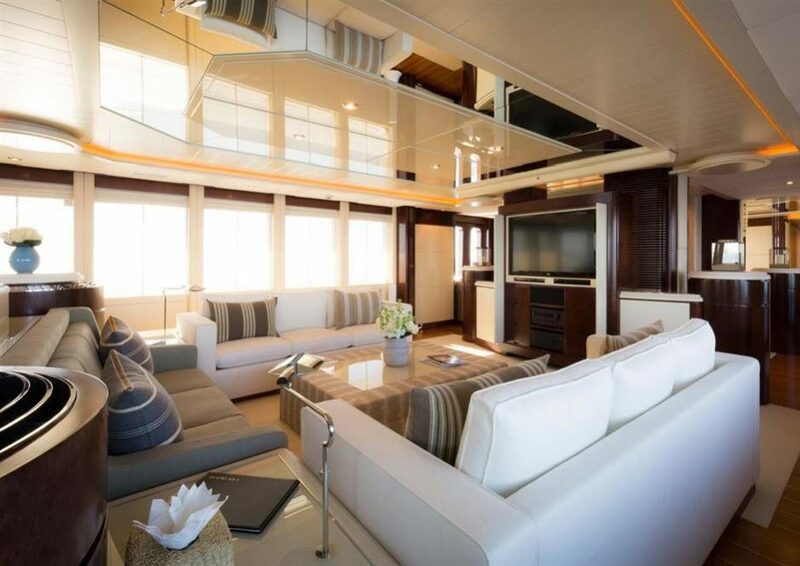 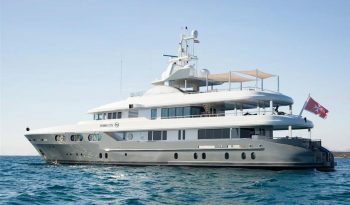 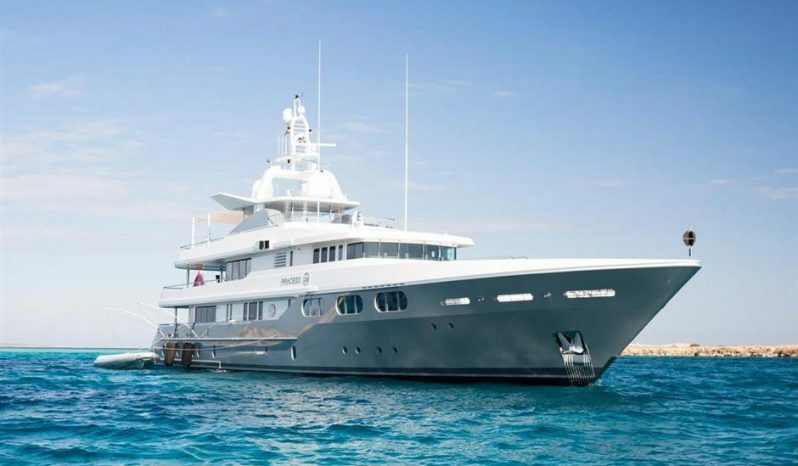 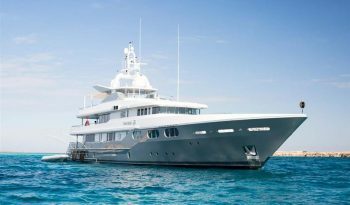 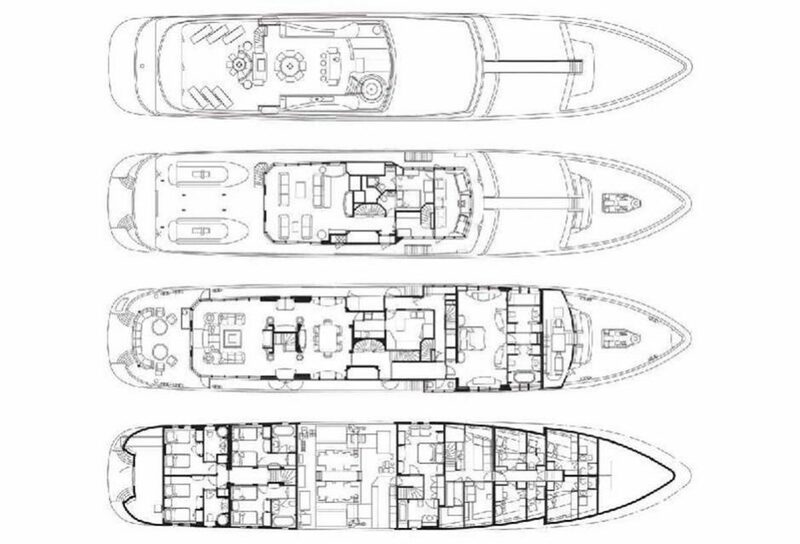 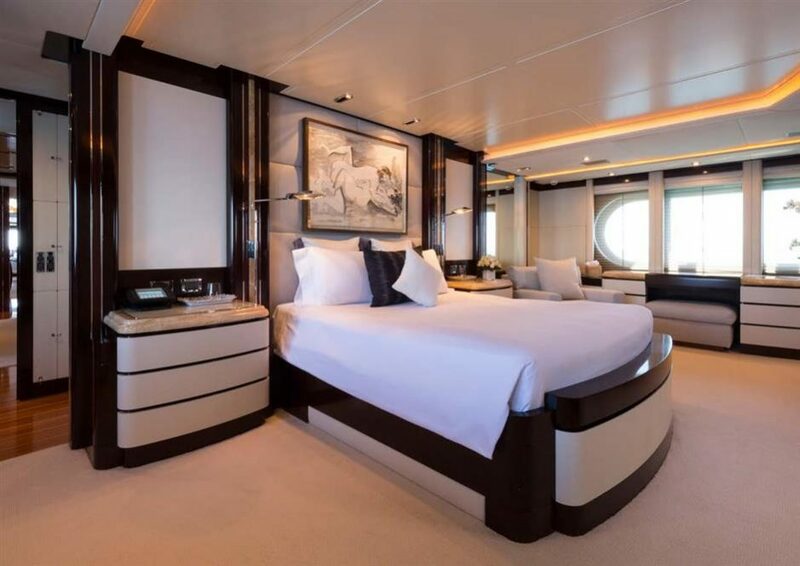 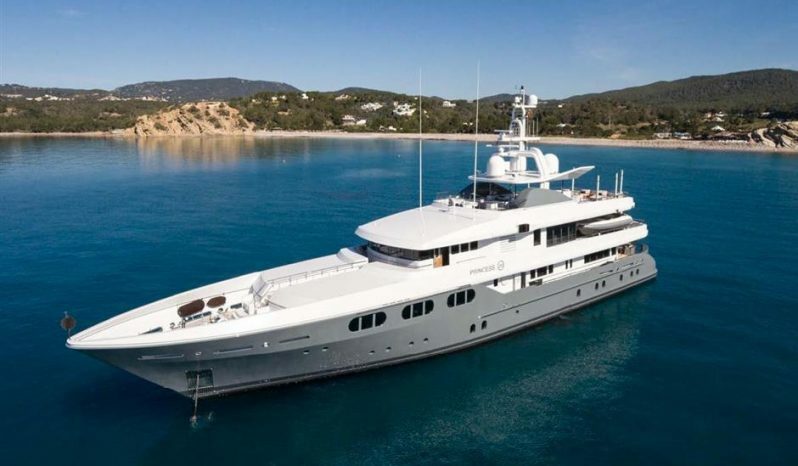 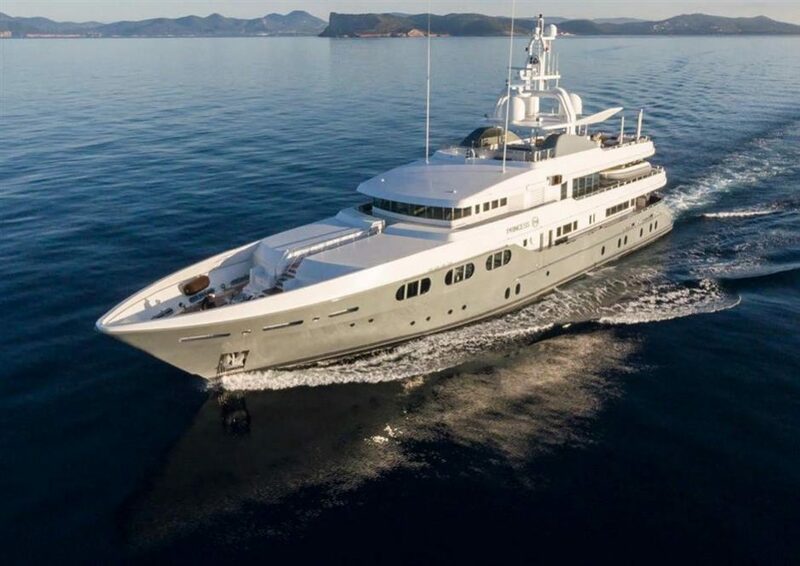 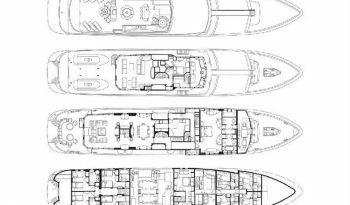 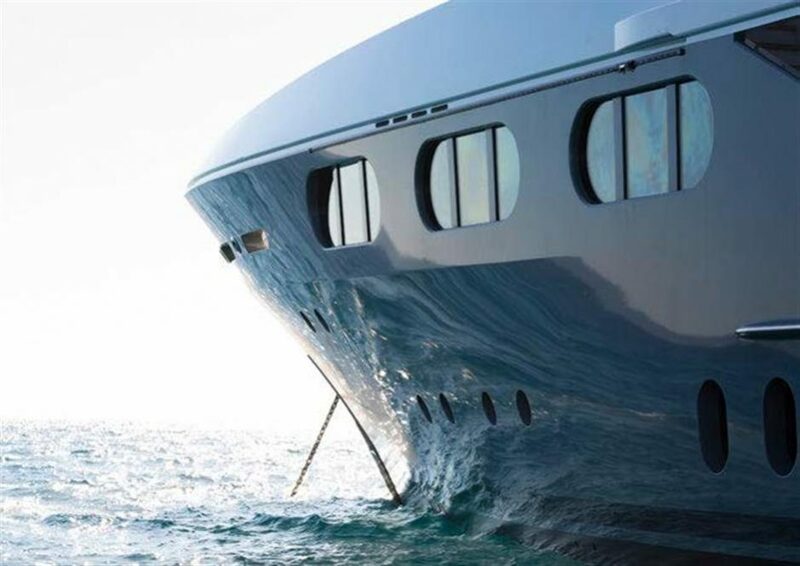 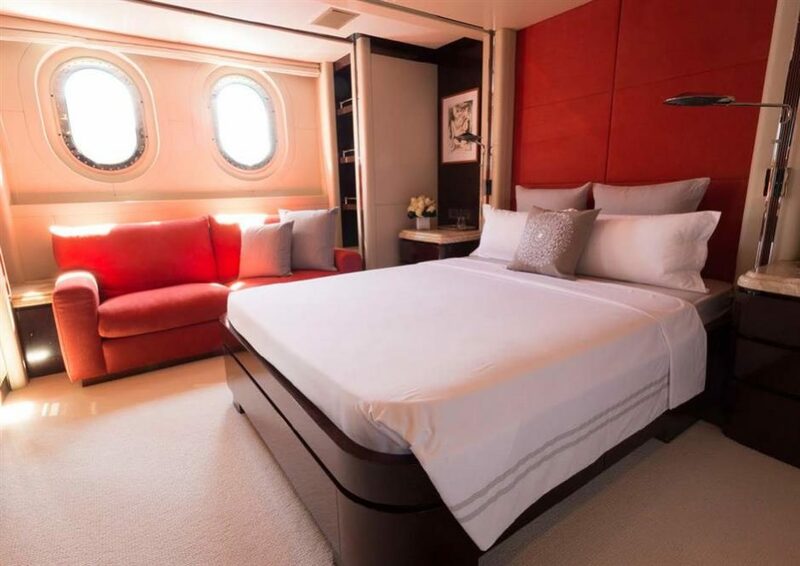 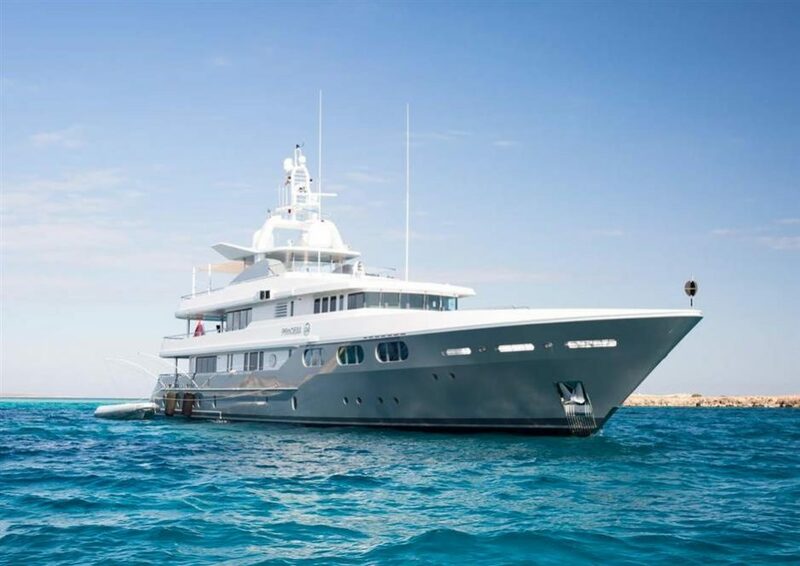 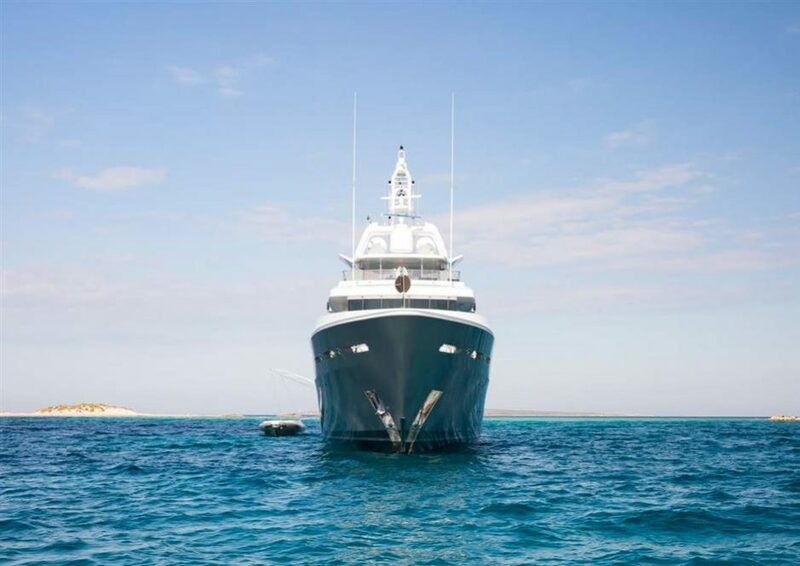 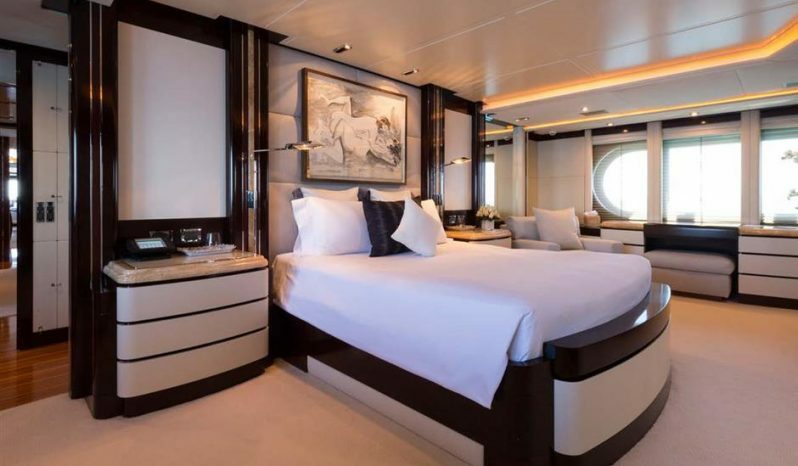 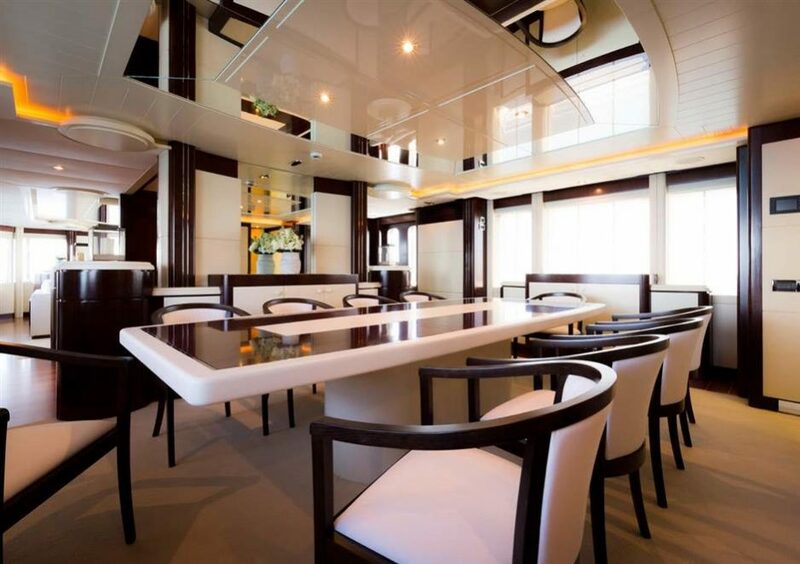 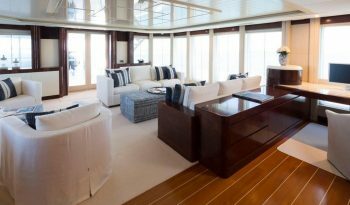 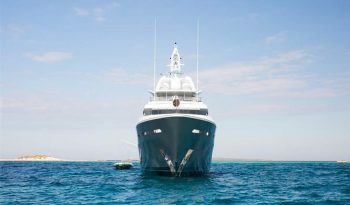 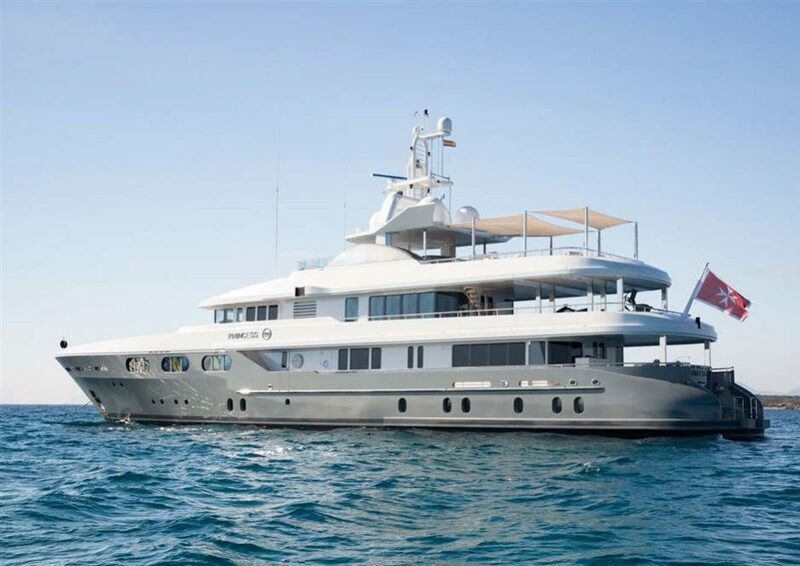 She accommodates up to twelve guests in six en-suite cabins. 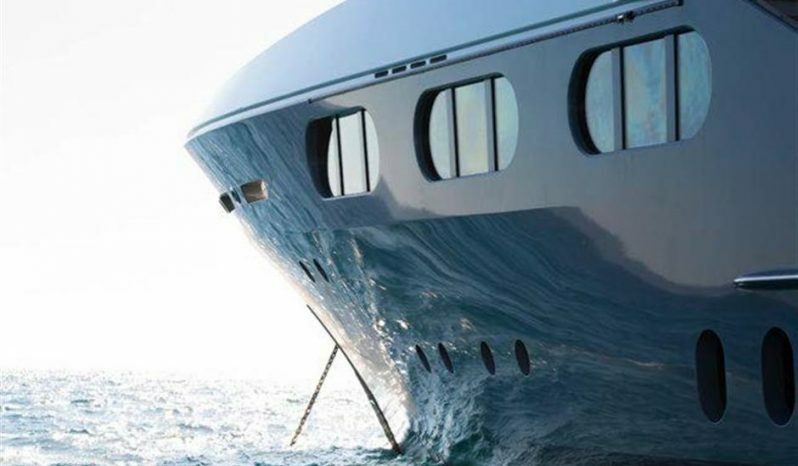 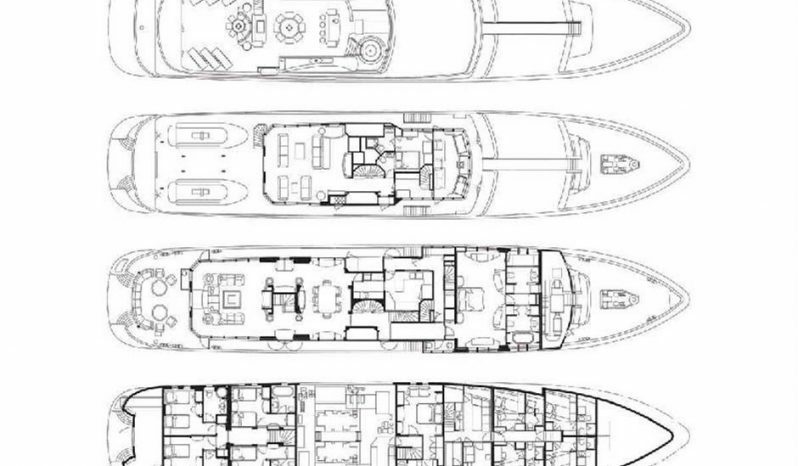 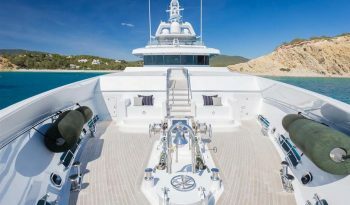 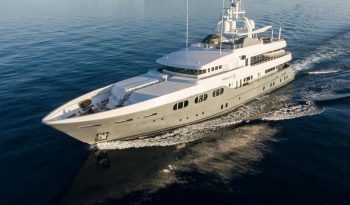 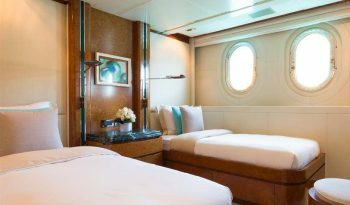 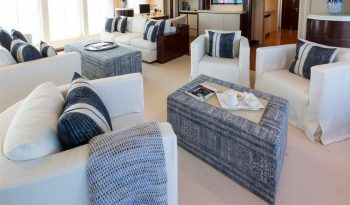 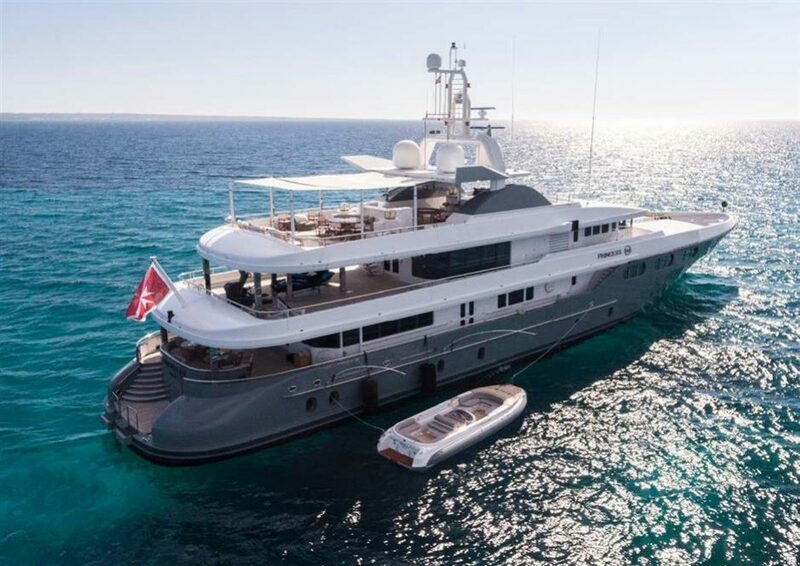 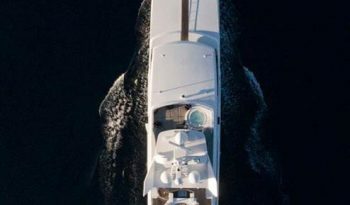 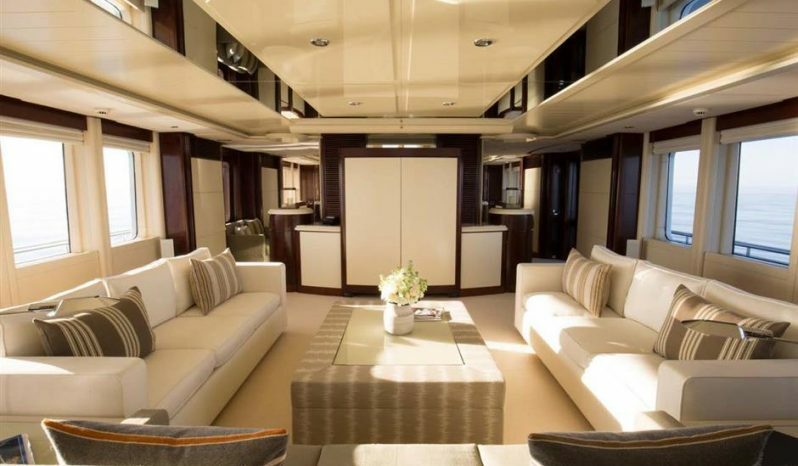 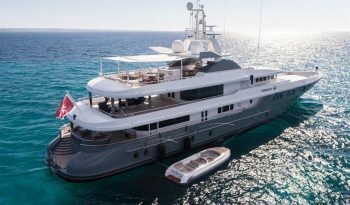 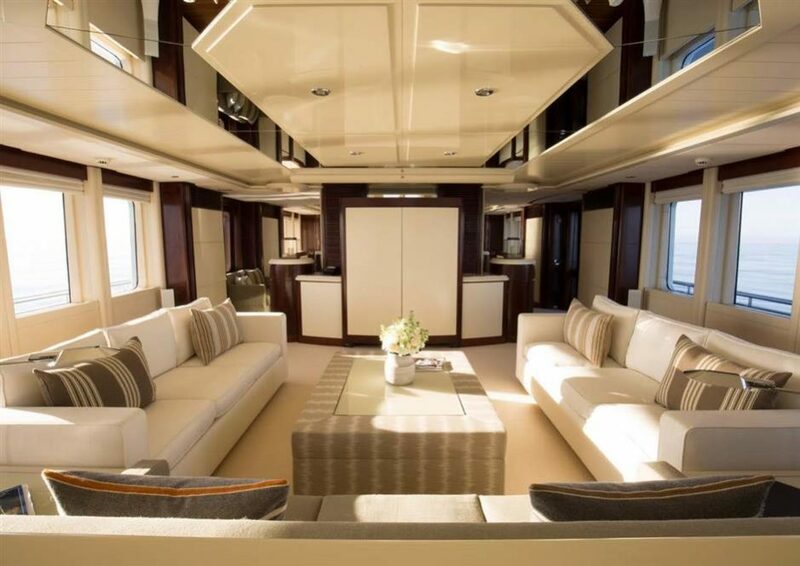 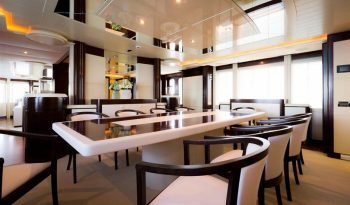 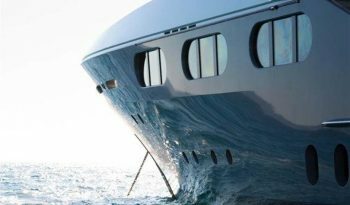 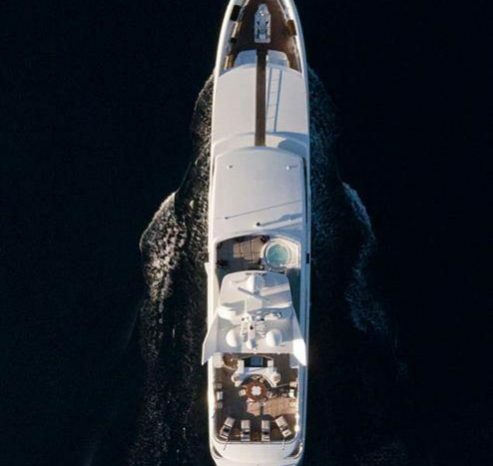 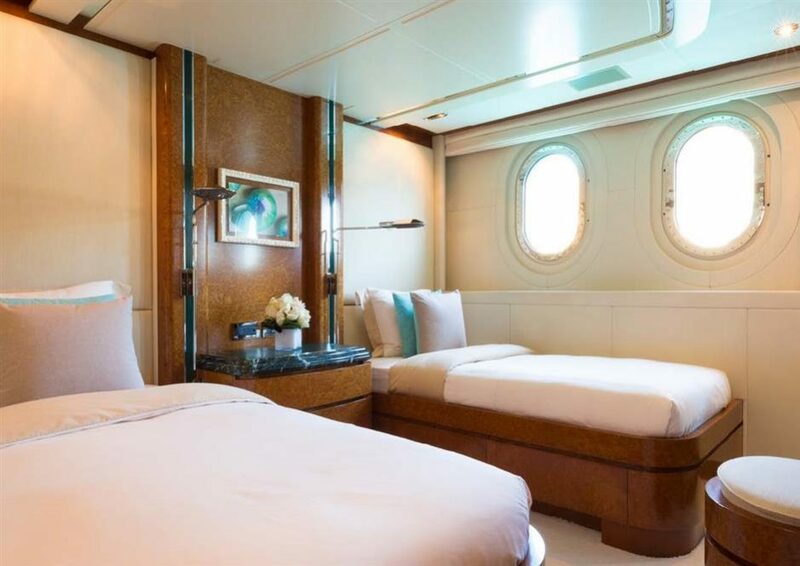 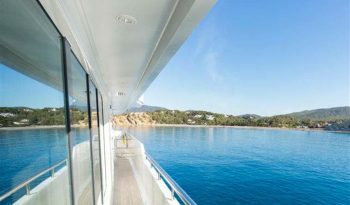 Thanks to the extra-large windows, the yacht feels light and airy throughout, especially in the full- width Owner’s suite and both the saloons. 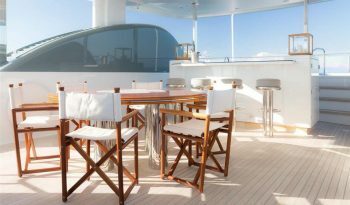 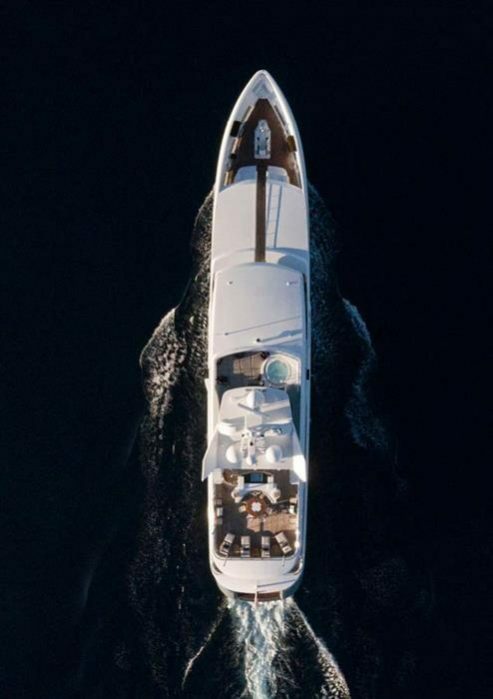 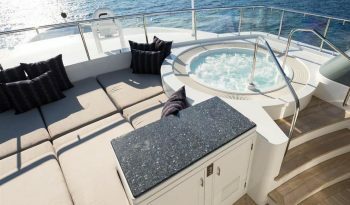 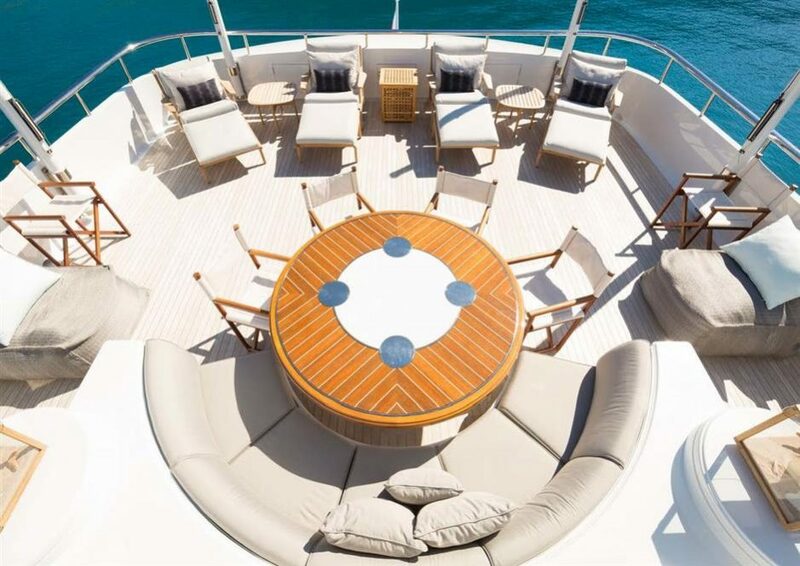 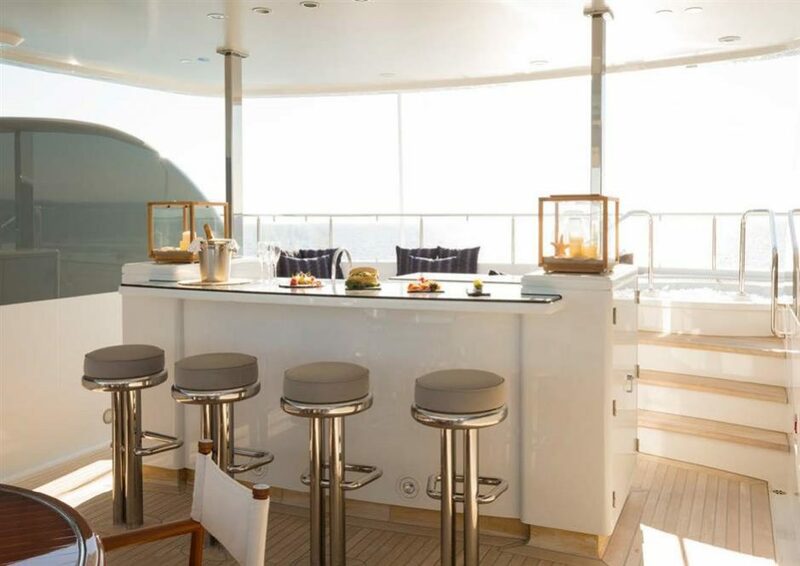 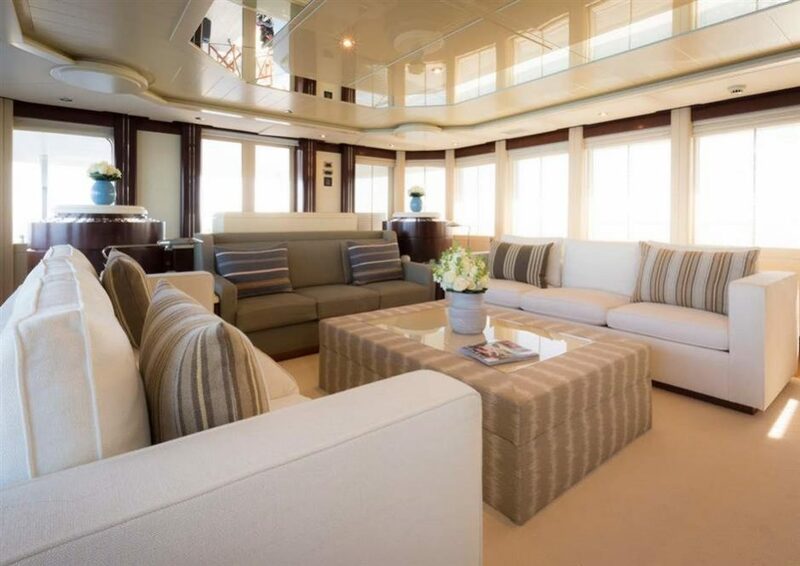 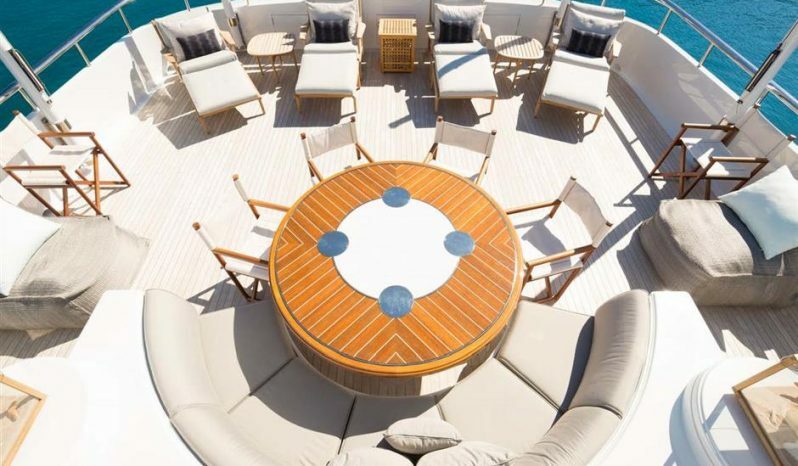 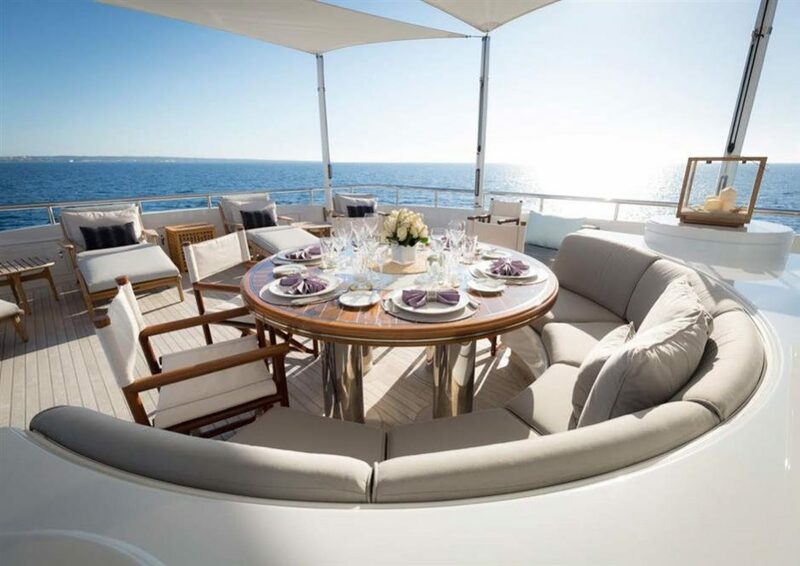 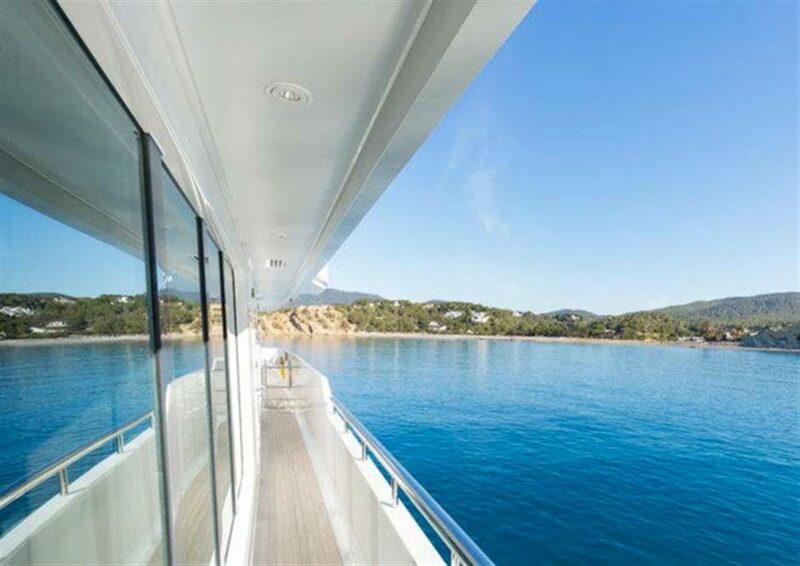 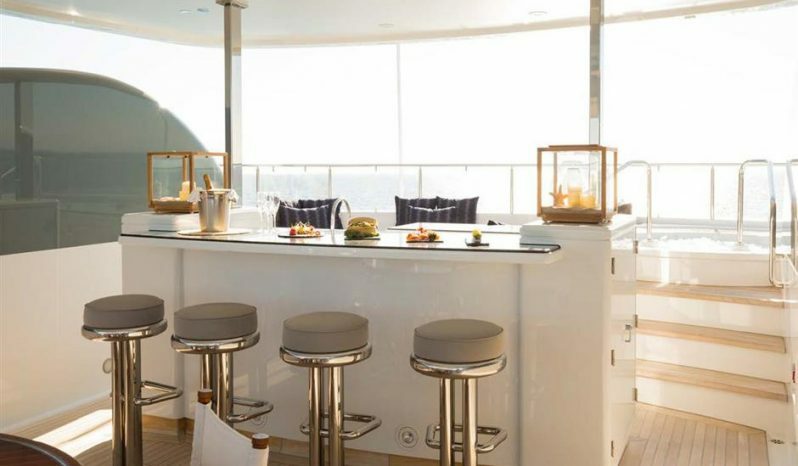 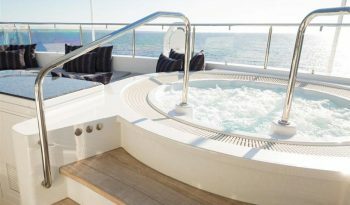 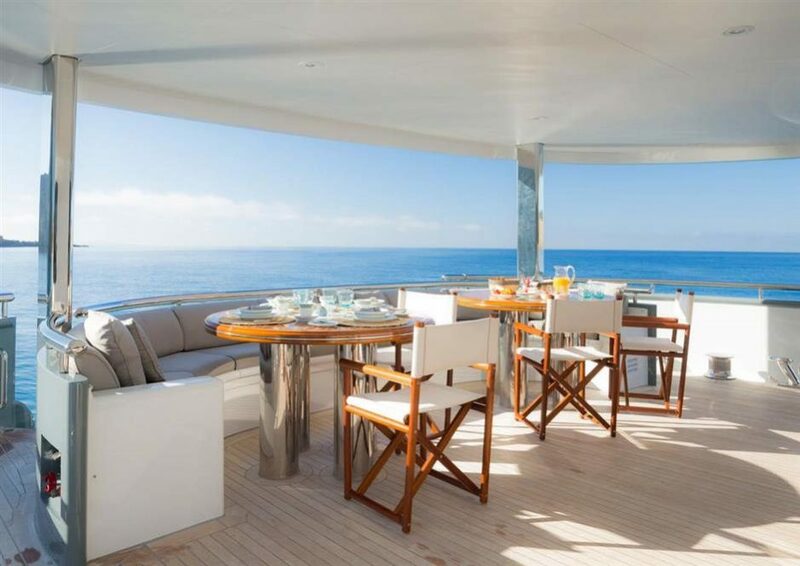 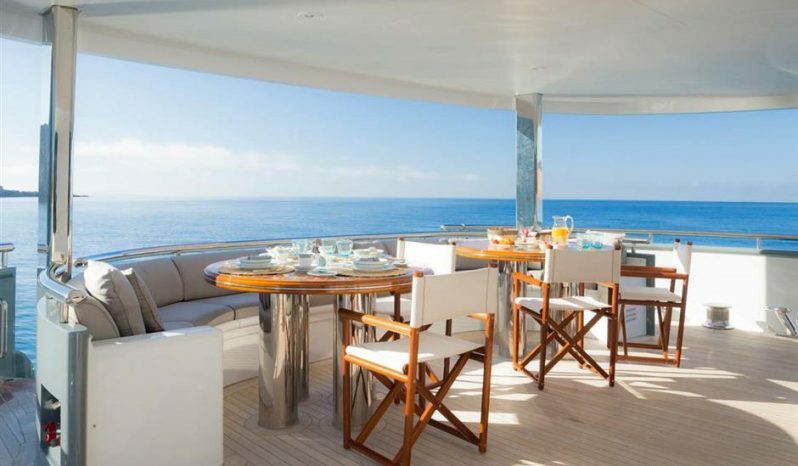 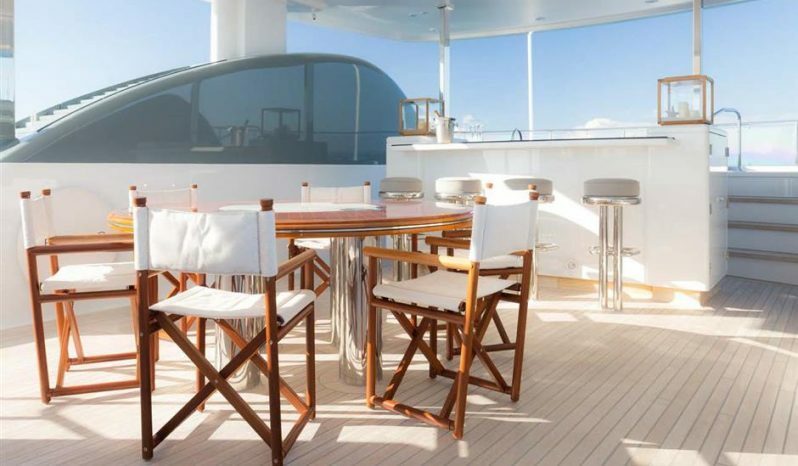 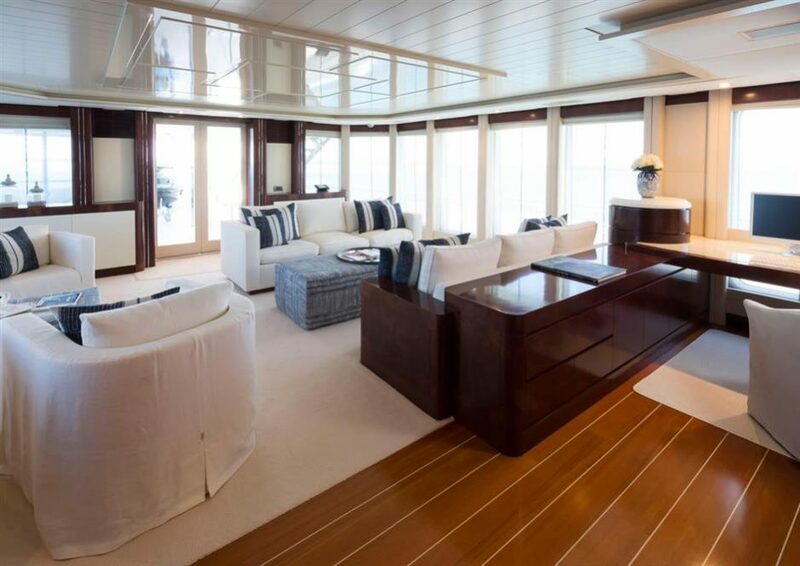 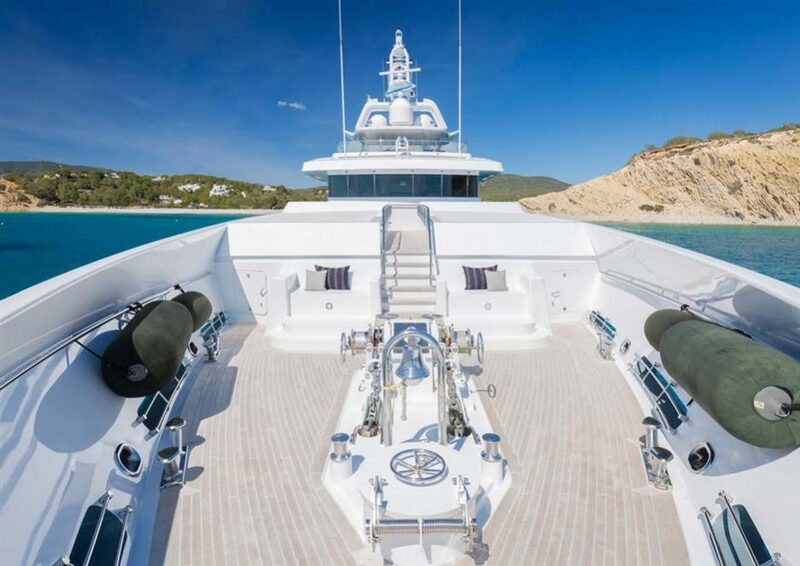 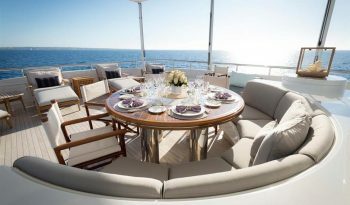 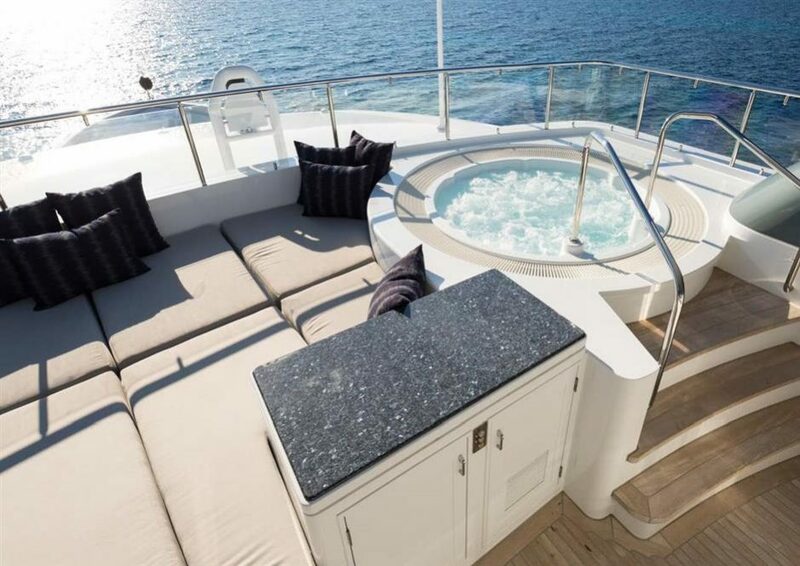 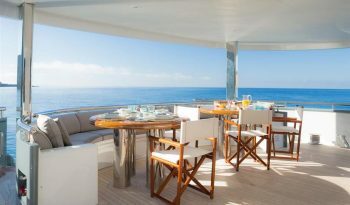 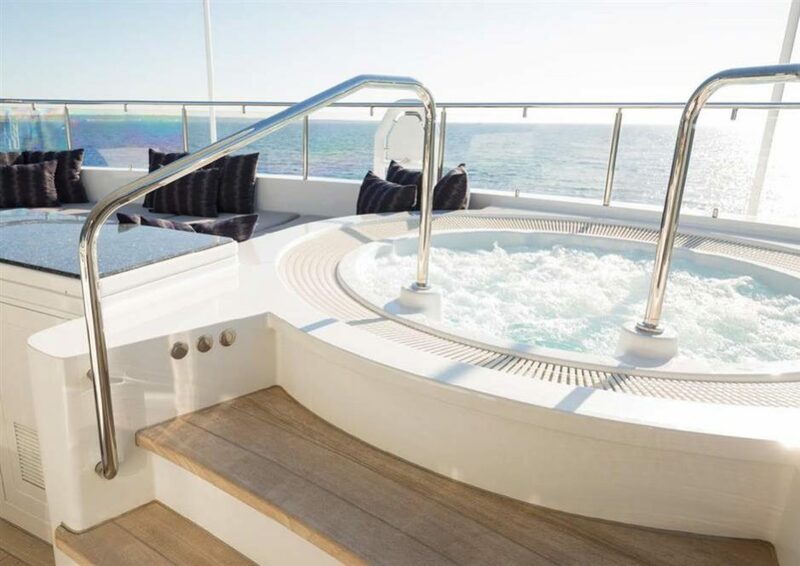 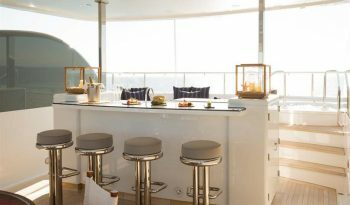 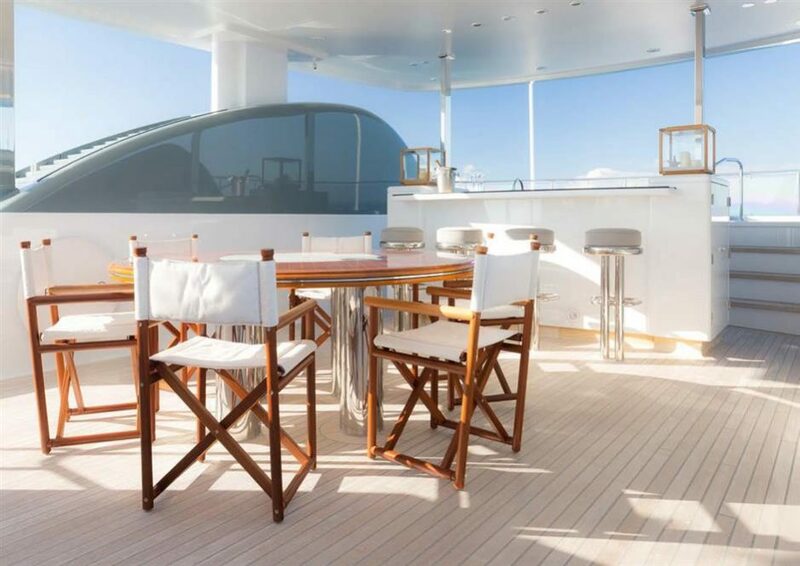 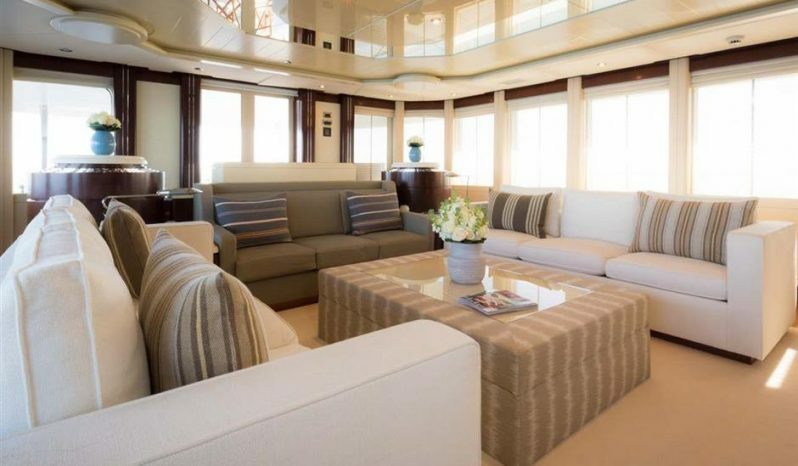 The Sun Deck is most impressive and is comparable to 50+ metre yachts.